The Canadian Government’s apology represents a historic event for the LGBTQ2S+ community. However, it is only the first step in addressing the needs of Canadian LGBTQ2S+ people. It has been a long time coming, resulting in many who needed this apology to no longer be with us. WDAN, which consists of people who were directly affected by the national security Purge campaigns, supporters and researchers, has pushed for a formal apology since 2015. WDAN is united in its support for a comprehensive and broad ranging official state apology and redress process and for the expunging of convictions for those convicted of consensual homosexual offences before and after 1969. As of November 25, an agreement in principle on the redress process was announced and will be elaborated as the terms of settlement are developed. If the apology is not linked to the necessary redress measures, it will be only symbolic in character. In order not to appear symbolic, the redress must be inclusive of all people affected by the Purge. Thus far, no clarity exists on what offences and what time period the legislation to be introduced on Nov. 28th regarding the expungement of criminal code convictions for homosexual acts will cover. · a clear, official, comprehensive public state apology acknowledging that the Purge campaign affected thousands of people in multiple ways and was sanctioned at the highest levels of the Canadian state. · broad and comprehensive, covering all of those affected by the Purge in the public service, RCMP, CSIS, and the military; including all who were discharged or forced to resign, blocked in their career advancement or whose positions disappeared; denied security clearances; interrogated and pressured to inform about others; assaulted, whether sexually or otherwise; all women who experienced interrogations about their sexual activities by male military officers; all those from whom the RCMP or Military police tried to obtain information about who was gay or lesbian; all partners, friends, and families of those directly affected; and all those who took their own lives as a result of this Purge campaign. The government must acknowledge that all LGBTQ2S+ people in these institutions lived in fear of sanctions, and may still do to this day. · a recognition of the huge cost to people’s health and careers. · a recognition of how this Purge campaign intersected with gender and racist forms of harassment and discrimination in the military and public service. 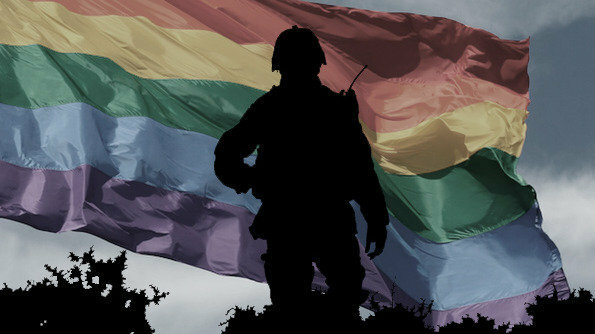 · an acknowledgement of the ‘fruit machine’ that involved the Security Panel, Health and Welfare, the RCMP and National Defence in the 1960s, which was designed to ‘detect’ homosexuals so they could be denied employment or purged. · an acknowledgement of the surveillance against movement and community organizations for challenging state national security policies. The RCMP surveillance campaign in the 1970s and early 1980s included many gay and lesbian organizations, and even lesbian and gay community dances. This was related to and often part of a broader surveillance campaign directed against the feminist and other progressive social movements and communities. · a recognition that all its security institutions (e.g., RCMP, CSIS, military police) amassed confidential information on thousands of Canadians relating to the Purge campaign. The government must make sure that these files are never used against those named in them. The people named in these documents must have the option of viewing these records, for closure. They should be the only people who will decide what will happen to these files. · accompanied by a commitment that all documents relating to the organization of this national security Purge campaign be publicly released. However, this will NOT include the names or personal files of any person who were purged, investigated, suspected, or directly and indirectly affected.